GHCC | CrossRoads Corporation, Inc. The Grier Heights Community Center (GHCC) is located in the former Billingsville School, a three-room schoolhouse built in 1927 under the auspices of the Rosenwald Foundation. The building stands as a landmark in the history of African American education in Mecklenburg County, and is listed on the National Register of Historic Places. It illustrates both national and local philanthropic efforts to improve the deplorable state of education for African Americans living in rural communities, and serves as a reminder of the racially segregated school systems. An important institution in the formerly rural community of Grier Heights, the school is a rare survivor in now urbanized Mecklenburg County. It stands as one of the three best-preserved Rosenwald schools remaining in the County and exemplifies the Rosenwald design and construction in its form, materials, and floor plan. Over the past few years, CrossRoads has worked with Grier Heights neighbors, foundation donors, and other partners to secure control of the school building, then rehabilitate and redevelop the original Billingsville School which, although used quite extensively, had fallen into a state of disrepair. The ribbon cutting celebration for this $500,000 project was held on Labor Day, September 7, 2015. Addressing the critical issues facing the Grier Heights community (high poverty, high unemployment, high dropout rate, etc.) necessarily requires removing existing barriers to programs, services, and education; i.e., lack of transportation and child care, poor nutrition and health, and feelings of isolation and intimidation. The Billingsville School/GHCC location and Rosenwald design leave it ideally suited for the institution of various programs to address these issues. Coupled with proximity to its constituency, a renovated and fully operational GHCC now serves to remove and break down these barriers, build trust and participation, and foster a sense of community so that residents take ownership of improving their quality of life. The administration and institution of a full range of programming at the GHCC represents a critical piece within the overall framework of the revitalization of the Grier Heights neighborhood. Programming by experienced service providers goes a long way toward addressing the critical issues faced by neighborhood residents. To visit the GHCC website and learn more about its past, present and future offerings, click HERE. No stranger to Grier Heights residents, Ms. T has worked in the neighborhood with children and families since 2008 and joined the GHCC staff in Fall 2017. 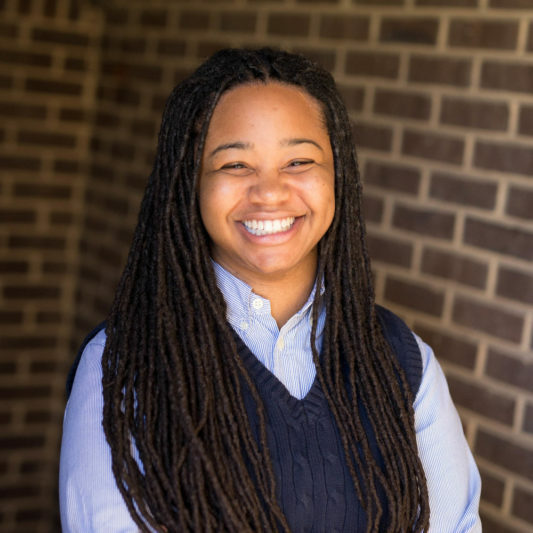 With a focus on bridging gaps, she’s the person to talk to about programs, classes, after-school options, youth mentoring…basically anything and everything going on at the Center (and all over Grier Heights, too). You need to meet Ms. T.